Hi friends! I apologize for my absence the past couple of days. I've been busy prepping for our upcoming house party in Peaks Island, and I'm also working on a 4th of July Potluck and red, white & blue bar cart design! I promise the next 2 weeks will be filled with photos and details of both. 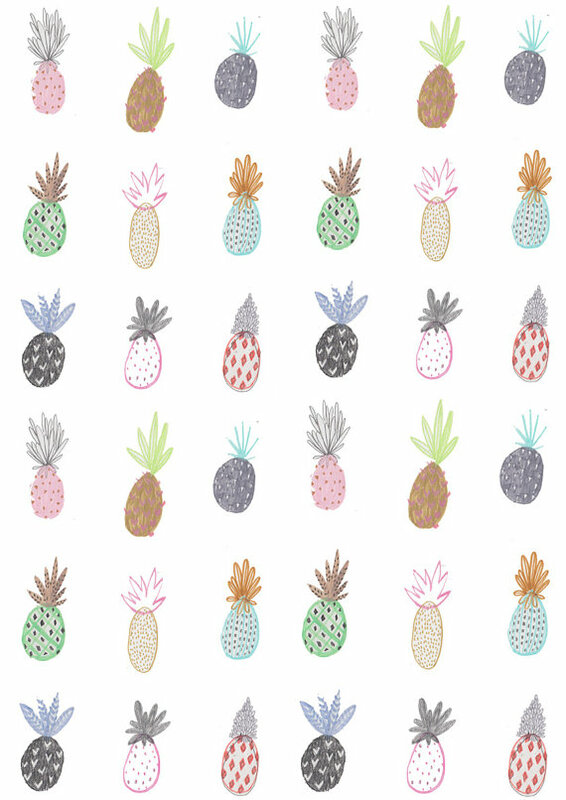 In the meantime I thought I'd share this gorgeous pineapple print by Amyisla Illustration. Her brightly colored designs would be perfect to frame above a summer bar cart!